Awarded 'Best Car Hire Company' by Times Travel Honours. 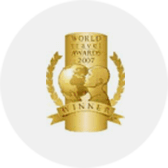 Awarded 'Best Car Hire Company' in Asia by World Travel Awards in 2009, 2010, 2011 - sixth year in a row. Awarded with 'Super Brand' status for the year 2009-10. 'Best Car Rental Company' - 2009-10 by Hospitality India Awards. 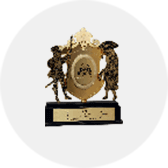 'Best Tourist Transport Operator' - Ministry of Tourism National Tourism Award. Awarded as Asia's Leading Car Hire and Australasia's Leading Business Car Hire at the world Travel Awards in 2010.